Skippyjon Jones, the Siamese kitty boy who thinks he is a Chihuahua, can count! He is one naughty kitty, with two big ears, and three little sisters. 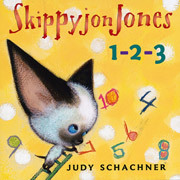 Little ones will love to count along with him as he bounces his way from one to ten.